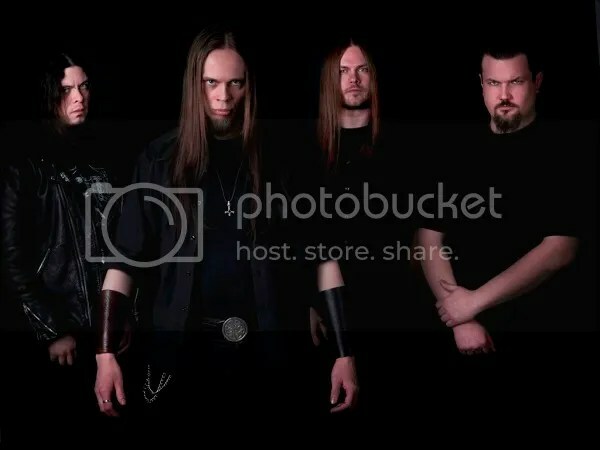 Formed by frontman and guitarist Einar Thorberg in Iceland in 2002, FORTID is probably best classified as an Extreme Pagan Metal band whose musical roots lie within the Black Metal genre, combined with an occasional nod in the direction of traditional folk music and strong underlying melodies. Lyrically and conceptually FORDID draws its inspiration from ancient Nordic mythology and traditions. Initially a solo project, FORTID released two full-length albums that form part of the Völuspá Trilogy before Thorberg moved to Norway, where the third part of the trilogy was released. By this time FORTID had become a fully fledged live and studio band with a full-time permanent lineup which went on to release the band’s fourth full-length album in 2012. FORTID is currently at work recording a new album, about which Thorberg says “ With this album I didn’t want to make a repeat of our previous work, so there will be more diversity in tempo, and maybe even an occasional flirtation with pop/rock, but definitely not enough to upset our fans. The lyrical concept of the album deals with the quest for knowledge and a deeper understanding of oneself and the universe through Nordic tradition and the story of Odin. The lyrics will be in Icelandic, which is my mother tongue and allows me to express myself more personally and deeply than I could in any other language”. FORTID is available for club shows, festivals and tours.